Do you repeatedly struggle with the same issues? Do you feel defeated, discouraged, and depressed? Do you feel like there is no hope left? If so, Joyce Schneider wants you to know that God wants something more for you. In her newest book, she uncovers some of the struggles that we all have but rarely feel comfortable sharing. Joyce uses her real-life experiences to show others that they are not alone. We have been taught through the ages that words cannot hurt us, but that is a lie. Words do hurt. They take root inside of us and change our perception of ourselves and others. But Jesus wants to weed that out. 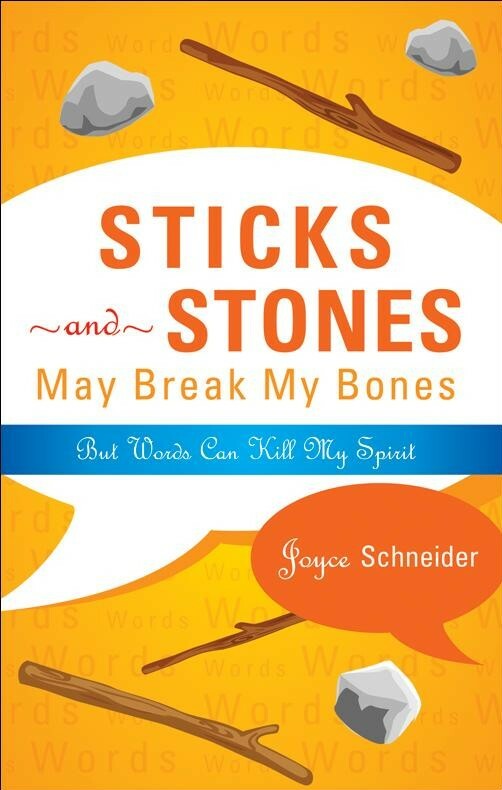 You can purchase Sticks and Stones today from Amazon.com, just click on the button below. We hope you enjoy this book, but even more that God uses this book to touch your heart and bring you healing! Don’t let the lies of the past destroy your future. There is hope … His name is Jesus!